The darling met the devil. 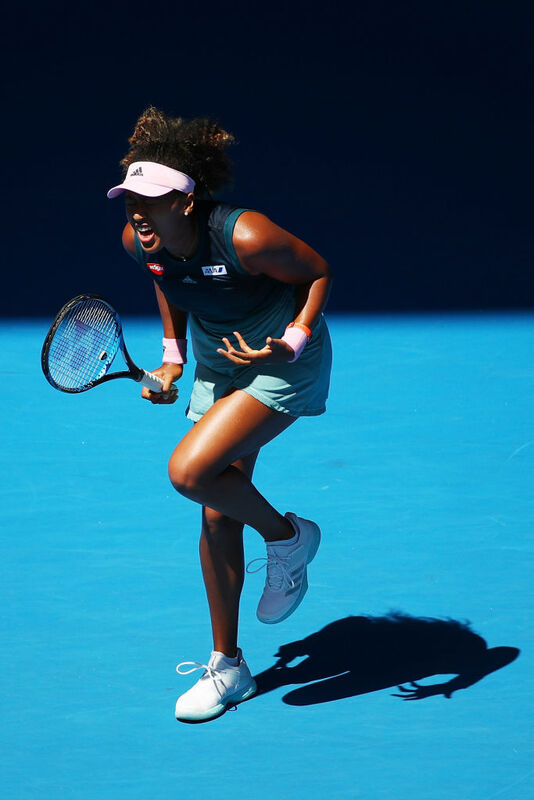 For months, Naomi Osaka has been the game’s prevailing sweetheart. Her combination of whimsical verbal adventures and penetrating power had won her both Indian Wells and the US Open, and more than a few hearts. She used her hefty skills to twice down Serena Williams, and her free-form wit to lift our spirits – so refreshing and endearing. Her coach spoke of the beauty of her innocence. But today Taipei’s Su-Wei Hsieh was giving the Aussie Open’s No. 4 a very worldly, unkind lesson in reality. All soaring young phenoms – whether they’re named Graf, Seles or a Williams – come back to earth. What goes up must come down. Now, clearly, Hsieh was bringing tennis’ darling du jour down – way down. It wasn’t a huge surprise. The early days of Grand Slams are all about upsets. But Melbourne had been a shock-free zone. The Aussie Open was due to give us a memorable upheaval – and Hsieh is a considerable giant-killer. She always lurks and is ready to pounce. Just ask No. 1 Simona Halep, whom the No. 28 seed beat at Wimbledon, or two-time Slam winner Garbine Muguruza, whom she brought down last year here in Melbourne. Plus, this promised to be the kind of classic confrontation tennis regularly serves up at local clubs or on grand stages. Here the finesse artist, who slows the pace, who dinks and dunks, is a kind of David to the Goliaths of the game, with all their power. Maria Sharapova once called Hsieh a nightmare. Here, Hsieh, who won the doubles titles at both Wimbledon and the French Open, turned Margaret Court Arena into an unforgiving torture chamber. She offered no pace to Naomi, took all the aggression out of her foe’s mighty power, didn’t miss, and forced the Japanese-Haitian to continually reset – how frustrating. The player with the most distinct style on tour, Hsieh hits with two hands off both wings, she cuts beneath the ball, she knows how to get to her stronger backhand side, and at times her drop shots seem to be going backward. Savvy, experienced and hard to read, she’s a knuckle-baller with considerable pop who reminds you of the now retired French magician Fabrice Santoro. It’s hard to figure out her puzzle. For a good while, Osaka didn’t come close. Off-balance and out of sorts, Naomi suffered one error after another. Well out of her comfort zone, she offered a few lobs, but that didn’t work. Her face filled with frustration. She hardly looked like a Grand Slam champ. Osaka smashed her racket. Everything was spiraling out of control. She fell behind 5-7, 1-4 and was within two games of a massive defeat. She’s never been a strong come-from-behind player. So she found her rhythm, relied on the youthful fitness she had been working on in the off season and totally turned the tables, as her power game at last imposed itself. She won 11 of the last 12 games en route to a 5-7, 6-4, 6-1 victory that propelled her to her second straight Aussie Open fourth-round appearance. There the 21-year-old will face Latvia’s Anastasija Sevastova, the No. 13 seed. Earlier, the ever-reflective Osaka had told us she wanted to be more mature. Today’s exercise in patience, fitness, belief and survival might well help.